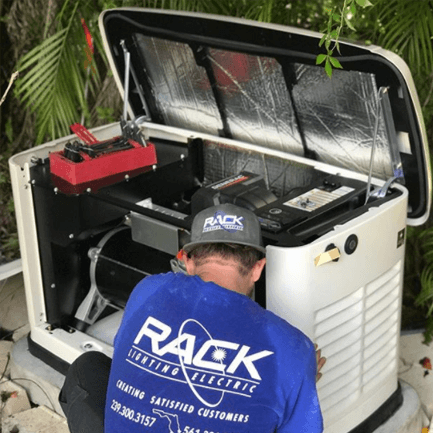 For over 20 years, Rack Electric has been the leader in installing and maintaining electrical systems and generators in Coral Springs. Many homeowners don’t realize that their electrical systems are outdated and need to be replaced until its far too late. 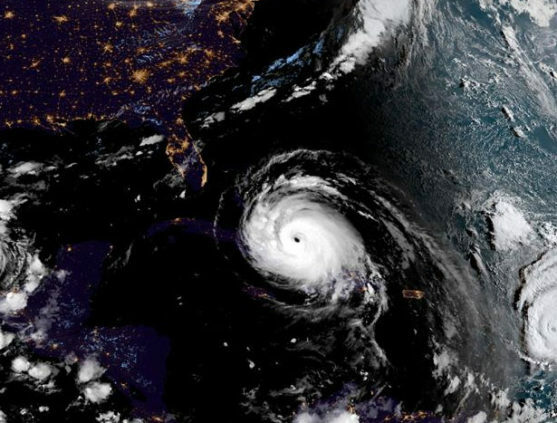 Hurricanes and tropical storms strike Florida every single year, with their strong winds and heavy rainfall knocking out power for homes across the states. Powerlines go down, and generators shut down as you and your loved ones are forced to sit in darkness and await the power restarting. Entire neighborhoods can be shut down if the right power line goes down. Thankfully, we’re able to rapidly dispatch a team of electricians to your locations and get your home back up and running. Whether you need us to inspect your generator, reconfigure your electrical panel, or any other task, Rack Electric will be there to help you out. 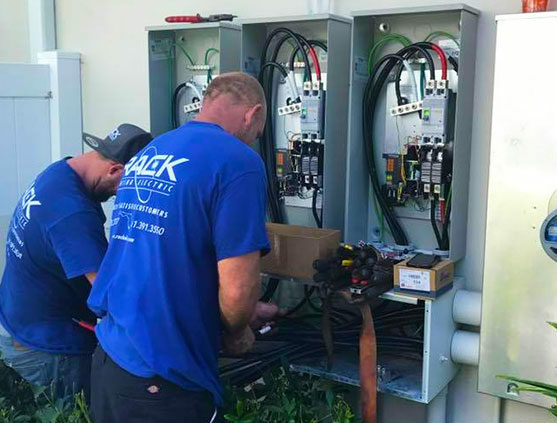 As the number one electrical company in Coral Springs, Rack Electric has provided its services to homes across the city. We’ve provided our electricians with the most updated training and technology to provide our customers with the best possible service every time they call upon us. 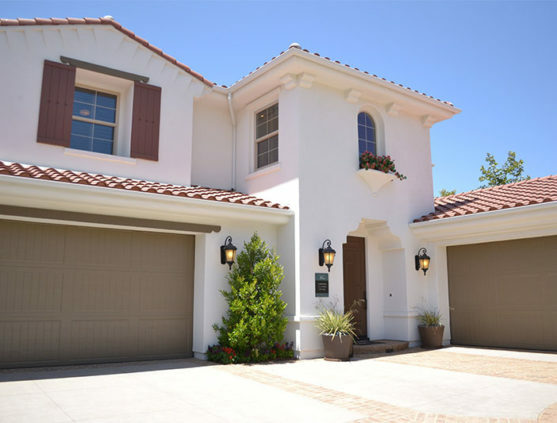 We’ve made it our mission to provide the citizens of Coral Springs the best possible residential electrical service at an affordable price. Every single job we undertake better prepares us for the next one ahead of us. With over 20 years of experience, our electricians are primed to get the job done in a timely and professional manner. Coral Springs and the rest of South Florida are no strangers to the constant threat of hurricanes, tropical storms, and heavy thunderstorms every single year. Their heavy winds and thick downpour are sometimes more than enough to knock powerlines down. This causes power to be cut off from your generator, and thus cuts off power to your home. These terribly massive storms can cause entire blackouts, potentially lasting several days to even a week. You could use a portable generator, but they’re only capable of powering one or two things. They also require large amounts of fuel which can be difficult following a heavy storm. It can also be extremely difficult to watch over a generator as the rain continues to pour. 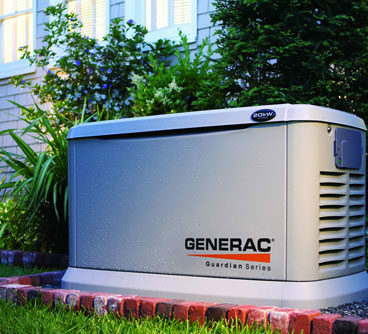 With a standby generator, you’re able to continue going on about your life, even when everyone else is sitting in darkness. 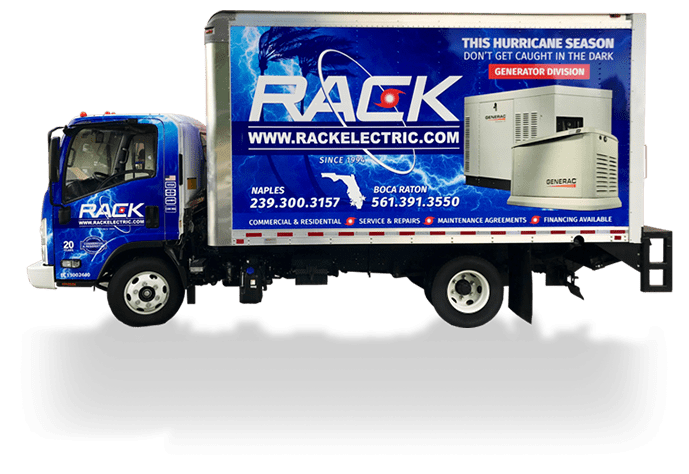 Rack Electric is able to deploy a team to install your standby generator and have it up and running as soon as possible. Electric vehicles are the way of the future, so it’s important to stay ahead of the curve. Instead of always having to charge your vehicle at an EV station, have Rack Electric install a vehicle charging station in your own home. 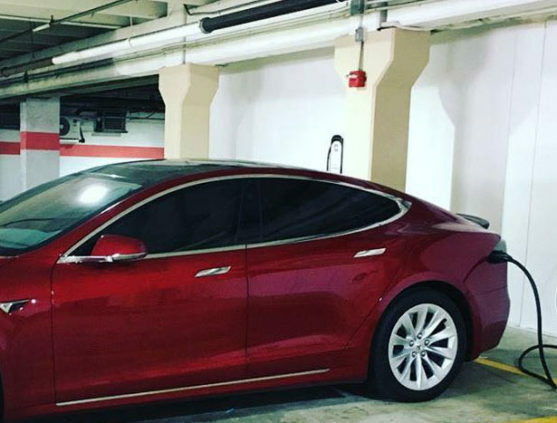 Our experts are capable of installing an EV charging station vehicles such as Tesla, BMW, Ford, and a number of other car brands. 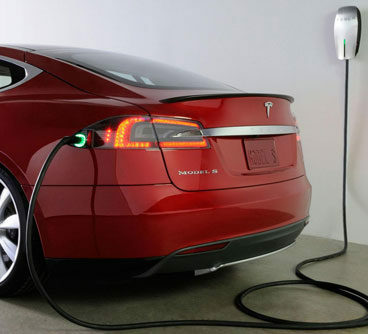 With a Rack Electric installed vehicle charging station, you’ll have a fully charged vehicle ready to go every morning.